Simply use your iPhone or Android device to gather specific information. Then, get paid. Want to make money and improve how companies serve their customers? Our Agents use their smartphones to collect photos, video, and information from stores and many other locations. This information is often used by businesses to better serve customers just like you. So be part of this meaningful work...and make some extra cash while you're at it. Visit the iTunes App store or the Google Play store. Field Agent is currently available on iOS and Android devices. Now complete the sign up process. When you access the app the first time, you'll be asked to fill out a few profile questions. Please answer these questions accurately, as they're critical to your overall Field Agent experience. You're almost ready for your first agent mission! Select "Find Jobs" from the main navigation window. 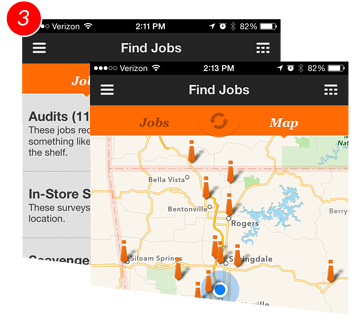 Locate available jobs on the "jobs list," or select "map view" to quickly see job locations. Click jobs for additional details and/or to accept a job. Once selected, you'll have less than 2 hours to complete the job, so be sure you're in close proximity. Start Making Money. Download the Field Agent App Today. In the app's main menu, click "Cash Out." Here, you will set up the secure easy method of Direct Deposit. We offer direct deposit to your bank account or a prepaid debit card. Why am I being asked to confirm my phone number when I cash out and how do I do it? Our business and community have grown significantly in the past year, so we're updating the confirmation process for our app users in order to stay up-to-date with industry privacy and security standards. Follow these steps to confirm your phone number so that you'll be able to cash out. Log in to your account at my.fieldagent.net. 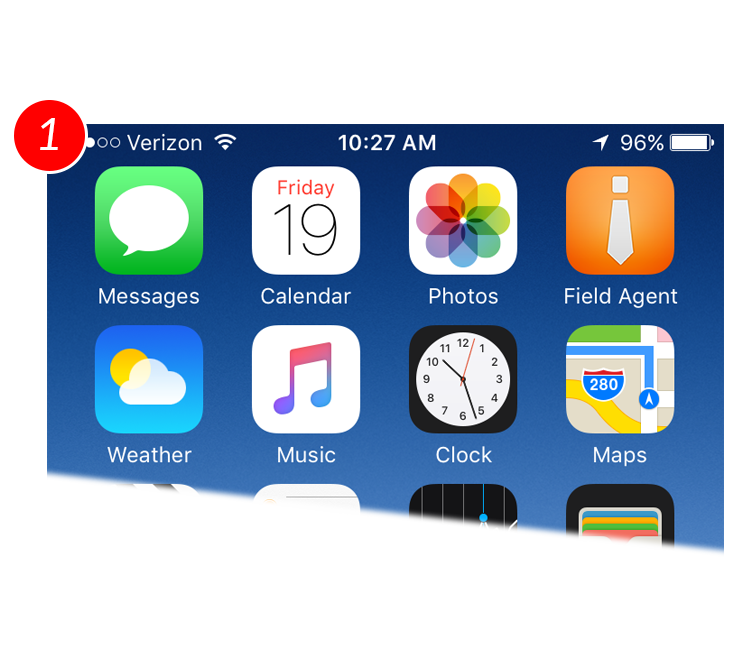 You'll receive a text message with a confirmation code. Enter the code on your account page. The only time we will require an additional phone number confirmation is if you wish to change your cash out method. Please contact support@fieldagent.net if you have any questions. Thank you for your patience and understanding! Jobs typically pay between $1 and $12 each. The money you make with Field Agent is real. It works like this: your earnings are stored in your Field Agent account until you decide to "cashout" (i.e., withdraw money). Cashout allows you to send money straight to your bank account or prepaid debit card using Direct Deposit. 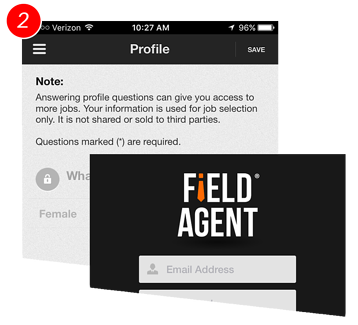 A variety of jobs are available through the Field Agent app. Common jobs include price checks, in-store display checks, and consumer surveys. The app may, for instance, ask you to go to a designated store, find a specific product, take a photo of it, and, then, answer a few questions about it (e.g., How much does the product cost?). Consumer surveys, on the other hand, can often be taken from anywhere, and are intended to help companies better understand consumers like you. How do I know if I'm going to the right location? Always go to the location specified in the job details, not the GPS pinpoint. If the address is incorrect on the app, go ahead and complete the job by sending a photo of what you see. This will let us know we made a mistake, and you'll still get paid. What are scavenger hunts and why are they so difficult? Scavenger Hunts are not your typical job. Travel is not required, but may be necessary to find products. If you have the product in your home, that works too. You must find the exact UPC to get paid. You shouldn't go out of your way and travel to a store to complete this job, as there are no guarantees of the product being in store. However, if you're already in a store, feel free to hunt for that product! Why do jobs disappear when I'm at the location and suddenly appear when I'm at home? Job reservations work on a first come, first serve basis. Keep in mind, many Agents may be reserving jobs at the same time. When you reserve a job, you typically have two hours to complete it. However, some Agents might let their job reservation expire or they may complete the job and get denied. In these cases, the job may reappear for someone else to complete it. 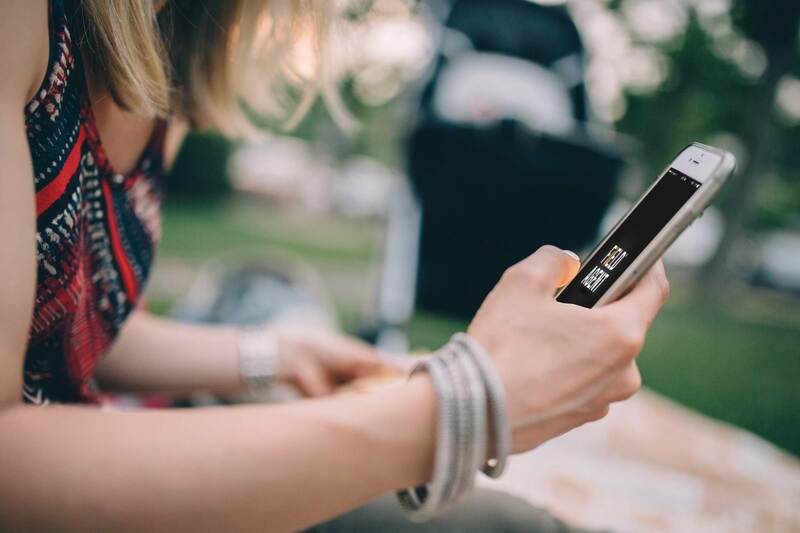 The Field Agent App pays smartphone users to complete surveys in stores, at home and anywhere our customers need information.